Norovirus (NoV) is the leading cause of acute viral gastroenteritis outbreaks in the world. These outbreaks are frequently associated with bivalve shellfish consumption, particularly because these products are often eaten raw or only slightly cooked. In Morocco, regulations concerning the acceptable levels of enteric bacteria indicator organisms in these products have been put in place. However, these regulations do not take into account the risk of viral contamination, and many gastroenteritis outbreaks have been linked to the ingestion of bivalve shellfish from areas that comply with the current food safety criteria. The aim of this study was to investigate NoV presence in shellfish samples (n = 104) collected at four sites owcff Oualidia lagoon (Moroccan Atlantic coast) from November 2015 to February 2017. Samples were analysed using real-time RT-PCR in accordance with the ISO 15216-2 method. NoVs of the genogroup II were detected in 7% of samples that were all collected during the winter months. Moreover, 71% of NoV-positive samples were harvested at sites upstream of the lagoon. 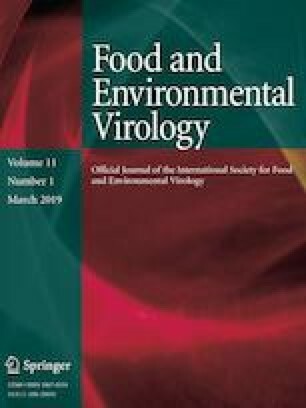 These results highlight the need of regularly monitoring viral contamination in bivalve shellfish to limit the risk of viral gastroenteritis outbreaks.